It has selectable air suspension that works pretty well when the sensors are working properly. The vehicle is 15 years old, so it has problems that come up every now and then. The repairs are very costly because the parts are not cheap and problems can be hard to diagnose. I wish that the maintenance could be cheaper. MY CAR , will not go over 180! If I try the car shuts down for some reason . The car I have is very good at speed also my transmission hasn't went out soo that's good .. it's a good car over all. It is affordable and drives very well in all kinds of weather. I love this vehicle. It has great gas mileage. I bought it at a great price. It drives very well on dirt roads. On certain passenger vehicles, if a driver's knees push against the knee bolster located under the dashboard, it can contact the headlight switch wiring harness and an electrical short could occur. This could result in a fire originating in the left dashboard area. Dealers will install a protective covering on the knee bolster (crash element). In addition, the wiring harness as well as the felt protector on the left side of the dashboard carrier will be checked, and replaced if necessary. The manufacturer has reported that owner notification is expected to begin during July 2004. 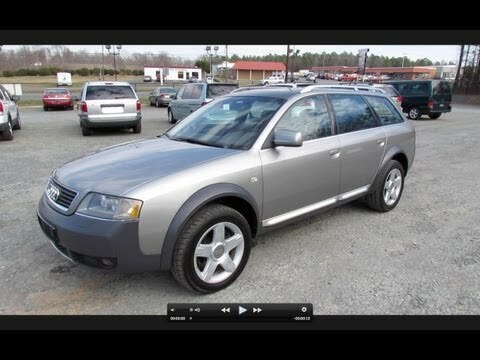 Owners may contact Audi at 1-800-822-2834.